With Star Wars Celebration now less than week away, were on the verge of getting our first real look at JJ Abrams' Star Wars Episode IX. In the meantime, however, we are treated to some new tidbits about a scene in the film by way of MakingStarWars.net. While this isn't the biggest spoiler of the movie, it does delve into some plot details. So if you are trying to avoid all Episode IX spoilers stop reading now. This is your official SPOILER ALERT! According to MSW, Episode IX will feature a scene where C-3PO and R2-D2 visit a snowy planet where there is droid workshop. There will apparently be several fun Easter eggs in this location, and be the place where we meet the droid D.O., and (potentially) Keri Russel's character, Zorii. The scene will involve Threepio's memory being uploaded to Artoo, which may result in Threepio winding up with Chewie's bowcaster and bandolier, and Rey's staff (seen in the leaked poster). C-3PO holding his friends weapons is a pretty amusing image, and one that has many folks speculating about what it could lead to. 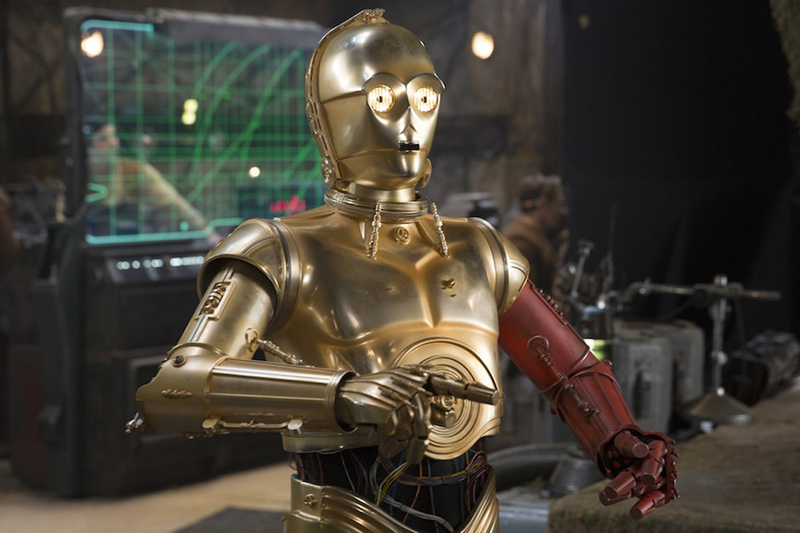 In addition, just the fact that we'll have a scene that features 3PO and R2 in a prominent role is exciting. They seen their roles be somewhat diminished (especially R2) in the sequel films, so it will hopefully be fun to see them front and center again. And, considering they are the only characters who have appeared in all nine Star Wars episodic films, having them be front and center will feel fitting given that this is the conclusion to the Skywalker saga (for now).